Architecturally designed spanish/arizona style old world luxury home. This spacious 4 bedroom, 3 bath home has great street appeal & 85' frontage, every single feature in this home is of the finest quality and workmanship. Warm & bright with 11 ft ceilings, custom tiles, solid wood doors & windows with an oversized cantera stone fireplace. 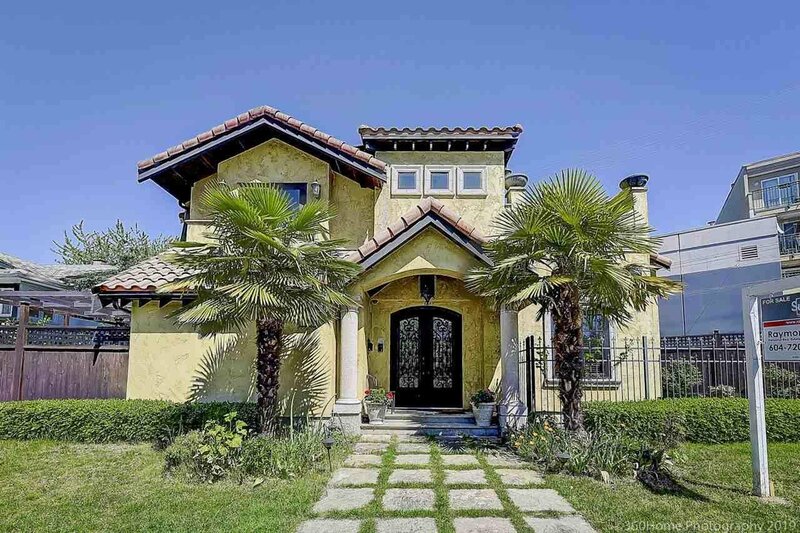 A curved stone tile staircase, luxurious bathrooms,amazing custom kitchen complete with a 5ft fridge/freezer, top of the line security system, main floor master bedroom has a walk-in closet & spa like ensuite w/ walk in shower. A large courtyard off the family room brings the outdoors in for year round entertaining. 3 more bedrooms up with separate decks. The garage is roughed in for a suite. You must come view this home.